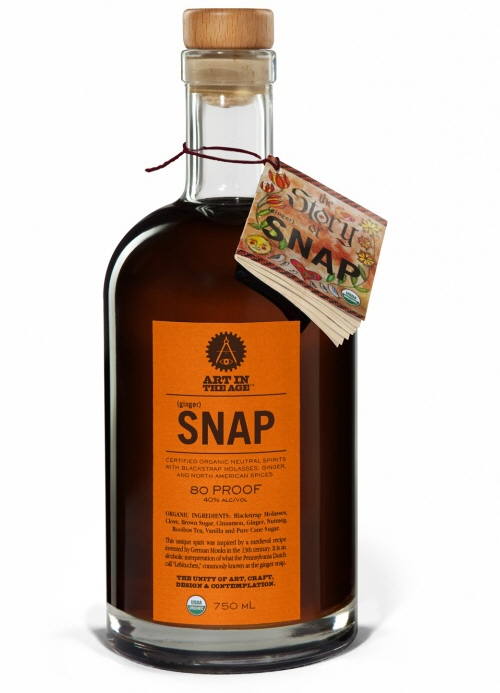 From Art In The Age of Mechanical Reproduction, the people that brought out Root last year, comes another certified organic vacation-in-a-glass; Snap. There have been a few ginger-infused type spirits released recently but have been wary until now. Love ginger generally (was munchng on some pickled ginger last night in fact, straight out of the jar) and bet this could make a killer alt' G&T (ginger and tonic??). Tricky to find in the NorthEast but if anyone tracks it down would love to know. Art in the Age will eventually feature a line of highly differentiated, organically certified spirits, and future releases are already in the works, including SNAP which, like ROOT, was inspired by a historical recipe: Pennsylvania Dutch black strap molasses ginger snap cookies. The acquisition of Art in the Age by William Grant & Sons marks the next step in the ongoing relationship between Grasse and the independent, family-owned distiller. 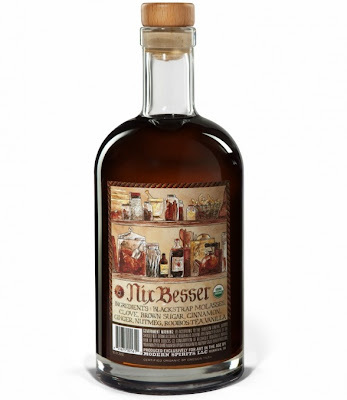 In the past years William Grant & Sons has worked with Grasse to develop two of its core brands: Grasse was an instrumental player in the successful launch of Sailor Jerry Rum and then Hendrick's Gin.